What is point of performance™? When we think about creating the point of performance™ a good analogy is a sprint race. The point of performance™ is the point at which you cross the finish line. Sprinters know that to increase chances of success they must go at full pace through and beyond the finish line, dipping at the line as they go for maximum impact. Within retail, the race is the discipline of getting every stage of the marketing campaign researched, planned and executed, the winning ‘dip’ or point of performance™ of the race is the final product purchase by the customer. Creating the point of performance™ is about closing the sale, and the race is everything that goes along the journey in achieving this purchase. It requires company-wide planning and coordination, with consistent execution all the way from head office down to each shop floor. This is our starting point. The journey to creating the point of performance™ can include every marketing tactic and tool, anything that will help result in a sale – how you display a product, how prices are shown, product comparisons charts, advertising, social media…. The key throughout this journey is market consistency. The importance of marketing consistency cannot be underestimated. 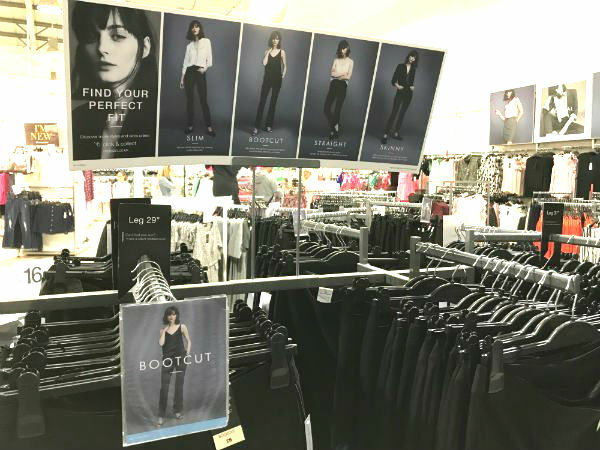 From the catalogue and website, to social media and email campaigns, to physical mail-outs, through to the signage in the store environment, all the way down to the end-of-arm sign with the product – the same message and graphics should be used and honed, taking shoppers step-by-step from passive browsing (with no set product in mind) to active browsing (looking at the specific product in more detail) to buying (the point of performance™). Any blip in consistency within a retailer’s marketing can derail customers from their purchasing journey and shoppers will be lost. 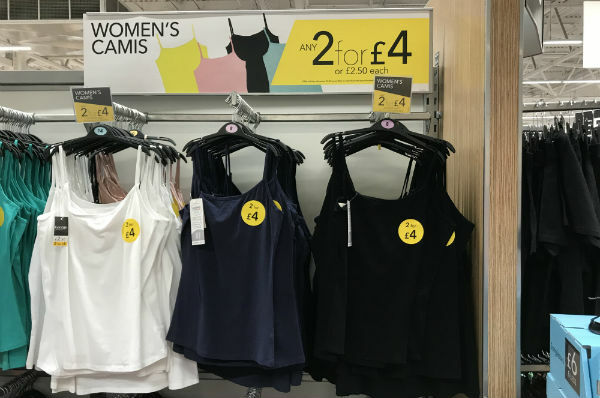 Matalan is a great example of a retailer that others can learn from in this field, their marketing is consistent at every step along the way. Read more about their approach here. To achieve well-executed marketing consistency takes a lot of planning and a lot of coordination across different areas of the business. The message itself needs to hit the spot and to decide this retailers need to take the time to know and understand their customers. And, to be fair, most retailers do invest a lot of time and resource in to this stage. What is often lost though is the translation of this message in to a full, consistent marketing campaign that spans the entire marketing range all the way down to the in-store messaging. Too often the in-store environment is treated as a separate entity to the online marketing campaigns, or the messages used within social media activity don’t make their way to the website, and potential purchases are lost with each inconsistency. Retailers can see a 23% increase in revenue using brand and message consistency, so it is worth getting it right. Taking the messages all the way down in to the point-of-purchase (POP) on the shop floor is what will bring us the winning dip in our sprint race. In-store purchasing behaviour is very often impulsive. Some statistics to consider: 68% of purchases are made on impulse, and purchase decisions are made in 90 seconds. The good news is that retailers can work alongside this impulsivity and by increasing their understanding of purchasing behaviour can help ensure that they don’t lose the sale to someone else. The layout of the store needs to draw shoppers to key areas. There is much research about how shoppers typically navigate a store, and the science behind inattentional blindness which can help retailers determine the best shelf positions for products based on where customers’ eyes naturally rest. Understanding this research will help retailers plan their in-store layouts. The use of in-store displays can increase sales by over 500 per cent. The key here is signage. Displays with signs can yield a 20 per cent better performance than those without. Using a Reflex sign holder can increase sales by 25 per cent. Without wishing to get too bogged down by statistics, the message is to understand shopper behaviour, plan store layouts accordingly and exploit shopper’s tendency towards impulse purchasing through POP displays and clear signage. Tactical execution of strategy is vital to creating the point of performance™. Let’s say we want to hit the market with a seasonal offer. What is our tactic? BOGOF, 50% off second product, bigger pack? How will consumers react? The answer is, we do not know. This is where brands need to be open to the ‘fail often, fail fast’ concept. Start with an idea, test it, improve it (or scrap it and start again). Once you have found the right tactic, can you make any other improvements? A change in label design, packaging colour? The only way to know is to test. Investing in prototypes for POP means that different approaches can be trialled at multiple locations and results analysed before making the final decision to move to full production. Prototypes are a valuable tool and should be planned in to the project lifecycle; they minimise the impact of failed tests and greatly increase the chances of ultimate success. All too often brands and retailers have been afraid of failing and so have failed to innovate. Entrepreuner Didac Lee estimates that eight in every 10 attempts will fail. Brands and retailers need to be willing to take the chance - to try out new ideas, layouts, POP designs, products, offers. And equally, they need to identify quickly when things are not working and remove them. When emotions become involved, failures remain in place long after they should. Fail often, fail fast puts the power in to point of performance™, taking a structured approach to get to the final sale point. Creating the point of performance™ is the finish line of our sprint race, and in retail it is the point at which the consumer buys the product. It is the reason for everything that came before, yet all too often focus is placed on the earlier stages of marketing and somehow the POP display and the shop floor is forgotten. What this can mean is a lost sale, and all the marketing efforts that came before are wasted; the point of performance™ has been missed. A well designed POP Display will increase sales. Here we see the chance to add a pastry to a coffee purchase. 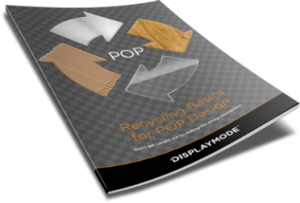 POP displays are important as they greatly increase the chances of a purchase. POP makes finding what to buy easier for shoppers, good design encourages impulsive purchases, co-siting of products can encourage multiple purchases, QR codes invite customer interaction…well designed POP engages the consumer. It is when the customer enters the store and finds the product that the product moves from a thought, a conscious idea, to a tangible item. The right kind of display will encourage the consumer to take the final step to the checkout leading us to our point of performance™. Creating the point of performance™ is the final step of the customer experience journey. Starting with the concept stages of design, through to messaging, above the line marketing activities, all the way down to the shop floor level and ensuring the POP display is effective in taking the customer to the final purchase. With care and coordination at each step along the way, creating the point of performance™ becomes a reality and the ‘winning dip’ could be yours.